Grace Chough led a session, “Turning Writer’s Notebooks Into Workbenches, and Using Them to Work Deliberately Towards Big Goals,” at the June 2014 TCRWP Writing Institute. She shared lots of smart thinking about the work students do in writer’s notebooks. But there one particular thing she said that resonated with me since I used to spend HOURS every week reading through students’ writer’s notebooks. Grace encouraged the session’s attendees to ask students to place sticky notes on pages where they took a risk or tried a new strategy when it was time for them to turn-in their writer’s notebooks to you (the teacher). I thought that was BRILLIANT since I used to spend my lunch period and/or my prep period, every day, reading through every entry of my students’ writers notebooks. Why hadn’t I thought of this? If I had, I would’ve had a lot more time when I was a classroom teacher! 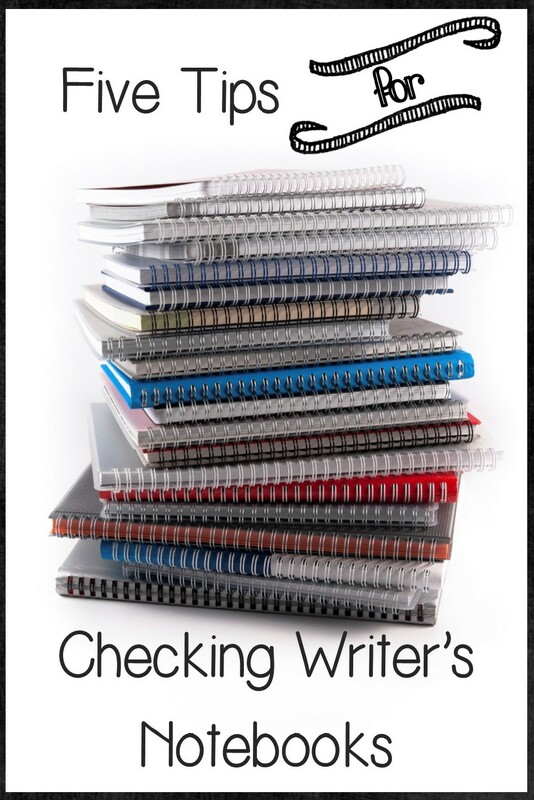 Here are five tips to make checking student’s writer’s notebooks more efficient. Tip #1: Institute notebook checking days. Students should know on which day their notebook will be checked. I used to divide my class into five groups, alphabetically. If a student was absent on their notebook checking day, they’d need to turn their notebook in to me on the day they returned. Tip #2: Read no more than three entries per student. An entry s/he tried out using a minilesson strategy. An entry s/he tried out something you taught in a midworkshop interruption. An entry s/he was inspired to write as a result of a mentor text. An entry s/he was inspired to write as a result of a peer sharing in a peer session. An entry s/he wrote as a result of a conference. An entry s/he initiated using a strategy for generating notebook writing. An entry s/he took a risk as a writer. An entry s/he feels is signficant for them as a writer. An entry that holds meaning or value to them. An entry that demonstrates a love of language. Tip #3: Limit your feedback. I used to respond to students’ individual entries on sticky notes, which I’d leave behind after each notebook entry. In addition, I’d also write a couple of paragraphs to them on a separate sheet of paper, providing them with feedback about their writing as a whole. That was really time consuming! Therefore, I’d suggest writing no more than one 3″x3″ sticky note response for each notebook entry you read. Tip #4: Use a rubric. Whether you adapt one of Aimee Buckner’s writer’s notebook rubrics or create your own alongside your students, let the numerical indicators be a way of providing students with quick feedback about their writing. If students understand how to use the rubric to help them improve their writing, then it’s not necessary for you to say as much every time you read students’ notebooks. Tip #5: Photocopy or scan if you would prefer to “look at notebooks” at home. BONUS TIP: Keep a log of misspelled words in students’ writer’s notebooks and use those for their personalized spelling lists. Please leave a comment below and share your tips for systematically checking students’ notebooks. 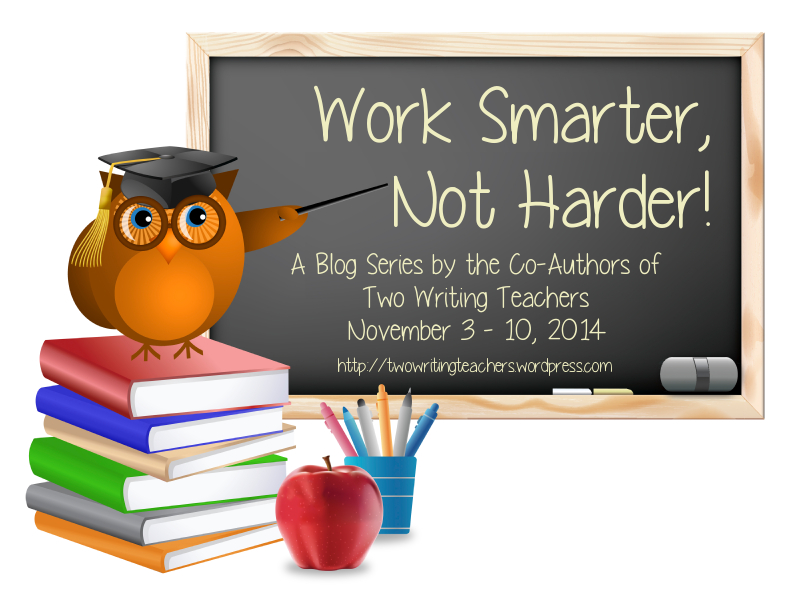 Remember to join us next Monday evening, November 10th, when we host a Twitter Chat about working smarter, not harder. The chat will begin at 8:30 p.m. Eastern Time. 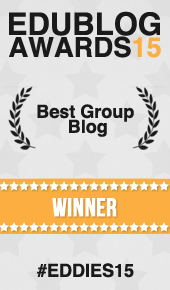 Just search and tag #TWTBlog to participate. Embellishments used in the notebook graphic were downloaded from We Lived Happily Ever After, http://bit.ly/1tJPtJ2. I really like the idea of students leaving sticky notes on the pages or page that I should pay more attention to–or to showcase something new that they have learned. I think this step provides students with the opportunity to reflect on what they’ve done well (and not-so-well) rather than just handing in their notebook. This is great! I’m sure many teachers appreciate these practical tips. Sorry! I meant unlined pages! I think that decision should be a joint-decision between teachers and students. I don’t think there’s a one-size-fits-all notebook option for kids. Some kids need lines while others feel confined by them. Can I use a writer’s notebook with blank pages? I really liked this blog entry because I enjoy writing and want to include that in a big way when I become a teacher so this has given my ideas on how to check student’s writing without it becoming overly time-consuming. I shared the series with the English teachers in my middle school, because one of the recurring themes in teacher discussions is balancing time for writing instruction with everything else that has to happen in a class period. I’d love to get their thoughts about how they check students’ notebooks since I wrote this post more for elementary school teachers in mind. It’s a LOT harder when you have multiple classes of kids in middle school. Please share if you have any tips! @Nancy–I’m really interested in the tips from your middle school friends, too! It might be interesting to have the student decide which entry he/she would like you to assess. I’d enjoy hearing why they chose the one(s) they did. Stacey, I especially appreciate the time to Xerox or scan a notebook entry so that kids can have their notebooks at home with them in the evening and weekends. It is so vital that we keep their notebooks a valuable writers tool, rather than a school assignment. Thank you for stressing that! I guess it goes back to the notion of “you don’t have to write, you get to write,” right? Stacey, these tips are great. I so appreciate the work all of you do to provide us with things we can immediately take to our work tomorrow. This week’s theme and posts could not be more timely. My pleasure, Julie. I know my co-authors will have lots to offer (as always) this week too!